One of the websites I have recently been using is the Teachit Primary website. It is still a fairly new website for me but I am enjoying the range of worksheets. 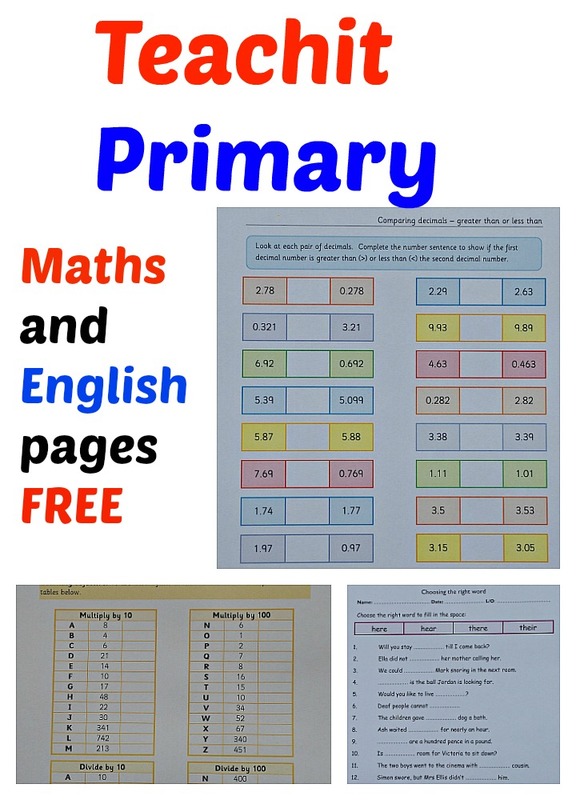 They have a Free account which allows you to download the PDF documents and they have a paid for version – I currently have a FREE account so I am going to share a few links for some of the Maths and English pages that I have found. There is a LOT on this website (including a Science section which I have not looked at yet) and I have only recently started using them so this is just a taster of what they have but it should give you some idea. I also liked the different homophone word pages (always useful to make sure the kids know the difference). They have a few different pages for homophones. The search function at the top of the page works quite well if you input key words like homophones you end up with a nice list of activities. The search function does bring back the free resources (always PDF docs) and the paid resources but I did not struggle with this. You just need to make sure the link has a circle at the bottom with PDF in it before you click on the link. This means you don’t end up clicking on link after link looking for free pages. And the way they use colour suits her (not all pages are colour quite a few are black and white), but the colour is not overpowering. An example is the decimal ordering page. If you have not already had a look at the Teachit primary website I highly recommend you go and have a look. This post has nothing to do with the Teachit Primary website. This is just me mentioning a resource that I have recently starting using because I think other home educators might find it a useful website. This entry was posted in Homeschooling and tagged educational resources, english resources, free printables, home ed, home education, homeschooling, Maths resources. Bookmark the permalink. Love this…..something different and an interesting read.